Both Homer Hoyt’s Sector Theory of Urban Development and Ernest Burgess’ Concentric Zone Theory highlight how cities grow outward from a core district (the Central Business District) towards the periphery with distinct land use zones. Without good land use management, cities run the risk of growing too far out, a concept known as urban sprawl. Sprawl tends to force high infrastructure investment to support vehicular modes of transport leading, in turn, to increased congestion as people approach the core district. Sprawl interferes with neighbouring farmland areas, reduces human interaction (contributing to a reduced socio-cultural sense of community) and increases the carbon footprint. 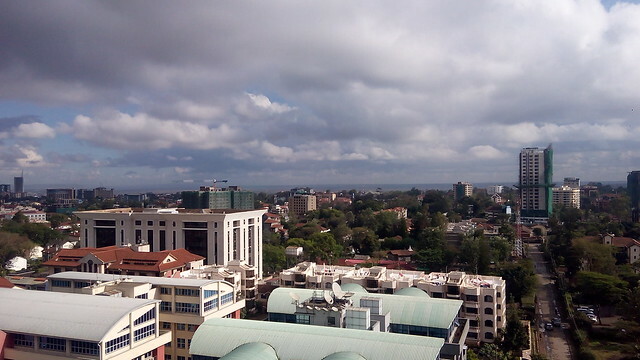 The City of Nairobi has developed partly along the lines of both Hoyts and Burgess theories and, together with its own unique geographic and demographic dynamics, Hariss-Ulmanns multiple nuclei theory. Residential areas close to the CBD are slowly transforming into mixed use and commercial zones. This has been experienced in Upper Hill, Westlands, Kilimani, Ngara and Parklands where the former European and Asian residential neighbourhoods that were taken over by the African middle class after independence changed from single unit dwellings to multiple unit and eventually high density residential and, in some cases, commercial properties. The change in zoning occurred as a result of increasing population pressure and the increased commercial activity that was evading poor mobility and access options existing in the core CBD. These changes have resulted in different reactions. In some residential areas, residents have attempted to use their collective voice to prevent unplanned transformation while in other areas landowners and developers have gladly welcomed the increased land values of the properties. The change in zoning, however, appears to be encouraging haphazard development, with very little sense of urban design. There are very sensitive areas in this zone ranging from rivers and parks to tree-lined streets and forestland. The zone must attend to these areas, for example, Kirichwa River, Nairobi River, City Park and the Nairobi Arboretum and regard them as the pride of the city. Competition for public land has always been very high in Kenya and a lot of it has been lost to greedy land grabbers and developers. Protecting the little public land that is still in existence as well as reclaiming land for public purposes like food markets, parks, public toilets and other essential spaces required for a more cohesive city will be a key consideration. Increased densification and mixed land use allows for reduced travel distances. This can be readily encouraged through improved walking facilities, easy access to mass transit, proper connectivity between different modes and reduced motorization. Pursuing this approach would warrant the location of the largest buildings closer to the transit channels and implementation of reliable public transportation along those transit lines. Aspects of privacy, natural lighting and access to greenery are also taken into account. “More roads will not mean less traffic congestion. Unfortunately there is little understanding of this reality within many of the relatively new urban areas which otherwise present a golden opportunity for investment in non-motorized transit as well as a variety of other means. Cycling, cable propelled transit and segregated lanes for public transport are among the various options available. Adequate modal shift between different districts enables better mobility and access thus reducing the need for the private vehicles responsible for generating both peak and non-peak congestion. Although Nairobi is putting into place plans for a BRT system, mass transit development needs to also remodel current transit services into a more organized functioning service that can attract more users thereby reducing the necessity for personal vehicles where possible. Adequate utility provision, smart systems and integration of the micro-economic systems add onto the range of positive adjustments that can be made by the occupants of this zone. Increased citizen participation through the involvement of Business Associations and Community Foundations such as the Upper Hill District Association, Westlands District Association and the Kilimani Project Foundation is evident in areas around Nairobi’s first concentric zone. These community organizations have helped to create an environment of better understanding and cohesion between the Nairobi City County Government and other agencies like Kenya Urban Roads Authority and Nairobi Water & Sewerage Company. The movement of more commercial activity to the first concentric zone as a result of transformation in the CBD provides the city with an opportunity to either develop and transform itself into an inclusive, people driven modern African metropolis or the contrary: decline into a congested, unfriendly urban village. Only time will tell. 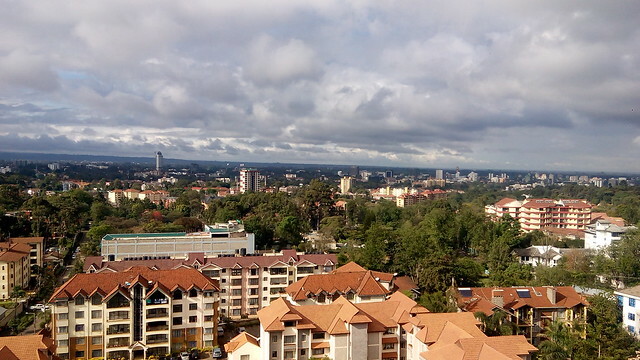 How should the various districts in Nairobi’s first concentric zone interact with each other? How has your city dealt with its expansion and changing land uses? Images by Constant Cap, data linked to sources.